We’re delighted to once again be featured in DomiCile Magazine’s fall 2014 issue. 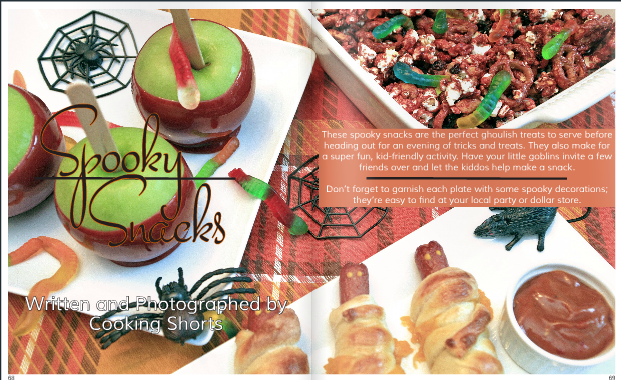 Starting on page 68, we present our Halloween themed “Spooky Snacks”. These spooky snacks are the perfect ghoulish treats to serve before heading out for an evening of tricks and treats. They also make for a super-fun kid activity. Have your little goblins invite over a few friends and let the kiddos help make (and eat!) the snacks. These looks absolutely amazing! YUM!! !